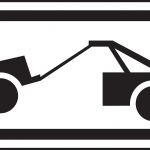 Better Option for Baton Rouge Tow Truck Insurance are One Call Away! Louisiana Tow Truck Insurance is super expensive and for this reason it’s best to speak with the Tow Insurance Specialist at Jeff Davis Insurance to help you find the coverage you need at a great price. Because we specialize in offering insurance for Tow Service Companies, Auto Repair Garages, and Car Dealerships you can count on us to help you find the best options. Call 337-824-4455 Monday – Friday from 8:30 AM – 4:30 PM Central time. 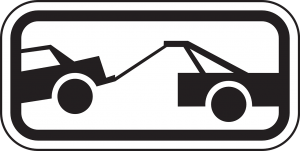 Baton Rouge Tow Truck Insurance – This Is One Way to Get Your Next Claim Denied! In last week’s post we discussed how important it is to provide accurate information on your insurance application when purchasing Louisiana Tow Truck Insurance. Some agents affiliated with our company have advised us about situations where unethical insurance agents have falsified information on tow truck insurance applications to generate a lower premium for customers who are shopping for tow truck insurance. Naturally, most agents are honest and ethical. However, if you buy insurance with incorrect information submitted to your insurance company, you might be setting yourself up for a claim denial. How can insurance companies issue claim denials when inaccurate information is listed on the insurance application? Notice This Legal Disclaimer from One Insurance Company. This policy was issued in reliance upon the information provided on your insurance application. Engaged in fraudulent conduct; at the time of application. This means that we will not be liable for any claims or damages that would otherwise be covered. In next week’s post we will discuss a hypothetical situation when the radius of operation is misstated on the application and we will discover the results after a claim is made by that particular trucking company. Don’t miss our next issue! The Best Options on Tow Truck Insurance Baton Rouge Louisiana Are One Call Away! 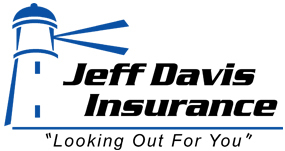 When you need the best options for Tow Truck Insurance in Baton Rouge Louisiana or any of the surrounding areas Jeff Davis Insurance is the company you need! Call 337-824-4455 during normal business hours to speak with our Tow Truck Insurance Specialists and we can help you find the coverage you need at a price you can afford.